People don’t quit because of a bad company, they quit because of a bad manager. We have a goal and obligation not to have any bad managers. We have an Integrated Management and Leadership curriculum . This is really the secret to our organization health. We developed the program to make sure management, across levels of the organization, have the right tools and frameworks to retain and grow employees. Every year we have more than 1,000 managers from across the globe participate in a multi-day session on this curriculum. We want to make sure they understand all of its components, from building trusting relationships to how to have difficult conversations and to executing on goals. I had the pleasure to interview Jim Kavanaugh. Jim is the co-founder and CEO of World Wide Technology. Kavanaugh and his proven management team have guided WWT from a small start-up technology company nearly 30 years ago into a world-class, $10 billion organization. 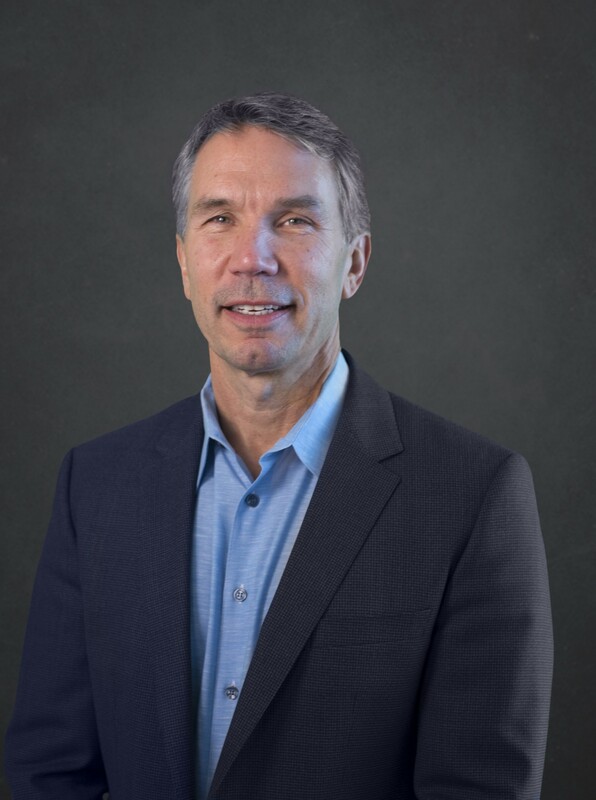 He currently focuses his time in the areas of technology innovation, long-term planning, strategic acquisitions, financial performance, employee development, and passionately overseeing WWT’s unique corporate culture. Prior to founding WWT, Kavanaugh worked at Future Electronics and played professional soccer. He received his Bachelor of Science in business administration from Saint Louis University (SLU) in 1986. Fotis: Thank you so much for doing this with us! What is your “backstory”? I was raised in St. Louis, in a working-class family. My father was a bricklayer, and I likely would have followed the same path, had I not been lucky enough to excel on the soccer field. In high school, my team won a state soccer title and that provided me with the opportunity to attend Saint Louis University for college on a soccer scholarship. After college, I had the continued fortune to travel the world playing in the Pan Am Games, and then later as a member of the 1984 Olympic team. Playing soccer gave me the opportunity to explore the world and experience other cultures, something I wouldn’t have been able to do without the sport. Traveling and playing on these teams had a profound experience on my life, and still influences the culture we look to create at WWT today. Fotis: Can you share the funniest or most interesting story that happened to you since you began leading your company? One of my favorite and funniest stories at WWT actually happened a little more than 20 years ago, when we were a nimble start-up with all hands on deck. It was a Sunday morning, and Joe Koenig, now president of WWT, and I needed to deliver some PCs to customers in Omaha, NE. Even though neither one of us had driven a moving truck before, we packed up a U-Haul here in St. Louis and were on our way for the more than six-hour drive. About halfway there, we realized we were on a road we shouldn’t have been on, and just about ran our product-full truck into an overpass. We ended up having to back up and turn around, which was not an easy task. Eventually, we made it to the customers and completed the delivery. When we arrived, the warehouse workers were taking their break, hanging out in the back. After making our delivery wearing jeans and t-shirts, we walked past them into the back of the truck, and emerged shortly after in our suits to go make some sales calls. When we walked out, the warehouse workers stopped talking and did a double take. They asked us where we came from, not even realizing we were the same guys who just walked past them. Fotis: How do you synchronize large teams to effectively work together? It all comes down to communicating your goals, values and vision. If your team doesn’t understand the path you’re taking and the end goal, they won’t be able to effectively work together to reach it. It’s important to put the right people and the right leaders in the right places, in order to set your team up for collaborative success. You also need a collaborative platform where people can freely share and iterate on ideas because that’s what leads to innovation. A perfect example of this is our Advanced Technology Center (ATC) ecosystem. This is a physical yet virtualized technology testing platform that’s made up of our technology partners, customers and internal employees. It’s very common to have customer engineers coordinating with our ATC engineers in St. Louis who our collaborating with the engineers of our technology partners. Successfully executing a technology test plan involves a lot of moving parts and people. So going back to the importance of a shared vision, before we begin testing, we level set with our customers and partners on our common goal, which is to uncover independent, unbiased and thoroughly validated results. With the ATC, all parties also benefit from a platform for continuous communication and information sharing. Persistent collaboration tools allow stakeholders to share documents, chat with one another, easily start video calls, share their screens and even engage in real-time whiteboarding. It may sound strange but what we’ve created is this coffeehouse type of environment where customers can share new ideas with our engineers and vice-versa. It’s important to make collaboration as rich as possible, especially with large teams. Fotis: What is the top challenge when managing global teams in different geographical locations? Can you give an example or story? The hardest part is creating a level of consistency, clarity and alignment of vision, goals and go-to-market strategy across all the geographic areas and lines of businesses. Because WWT is global, we must make sure our employees are aligned in regard to a consistent language for the business goals and culture. To this end we’re always focused on reinforcing our Integrated Management and Leadership curriculum at every level of the organization. Also, inclusion is so important. We want everyone, no matter where they live, to know they’re part of the same team. This is why during company-wide corporate updates we always video conference in teams around the globe. WWT employees need to know that no matter where their colleagues live, we’re all part of the same family. That said, nothing beats face time. Myself and other executive leaders are always holding travelling to our global offices for town halls. And every trip is worth it. The ideas and perspectives we receive from our employees across the globe always inspire us. Lastly, technology helps a lot. Advances in video conferencing are truly amazing. We always encourage employees to use video when communicating with colleagues remotely. There’s just something about seeing your colleagues in a faraway time zone huddled up to get the job done that creates a kind of camaraderie. When you share that experience, enabled through video, I think you’re more apt to make adjustments to your own schedule to help out employees across the globe. Again, it helps you realize we’re all in this together. The last thing I’ll say is that when we really started taking off globally, we rolled out a Global Awareness program with content from employees around different offices articulating cultural differences. One of the things we take seriously is making sure we’re communicating in the right way at the right time while giving the right amount of information. Sometimes that becomes more nuanced when communication is occurring with a colleague who comes from a different culture, so we do as much as we can to raise cultural and geographic awareness. Fotis: What advice would you give to other CEOs or founders to help their employees to thrive? Invest in your employees and your company’s culture. By creating an environment where people feel supported and part of a team that is working for a common goal, anything is possible. Establishing core values is also important. At WWT, our culture is without a doubt the key to our success and our core values THE PATH (trust, humility, embracing change, passion, attitude, team player, honesty and integrity) are at the center of all we do. Our culture and core values are big reasons why earlier this year, for the seventh year in a row, we were honored by the Great Place to Work Institute and Fortune Magazine as one of the 100 Best Companies to Work For. Fotis: Most times when people quit their jobs they actually “quit their managers”. What are your thoughts on retaining talent today? First off, I completely agree with that statement. People don’t quit because of a bad company, they quit because of a bad manager. At WWT, we have a goal and obligation not to have any bad managers. I mentioned our Integrated Management and Leadership curriculum before. This is really the secret to our organization health. We developed the program to make sure management, across levels of the organization, have the right tools and frameworks to retain and grow employees. Every year we have more than 1,000 managers from across the globe participate in a multi-day session on this curriculum. We want to make sure they understand all of its components, from building trusting relationships to how to have difficult conversations and to executing on goals. The bottom line is it takes a lot of hard work, commitment and practice. You really need to ask yourself, “Am I practicing being a good manager?” You have to put in the time every day. First, you must be able to assess people. You have to be open-minded and inquisitive to be a good judge of character. The ability to assess competencies and the ability to perform a specific job, both in character and in business, is crucial to managing. Second, after assessing the employees you manage, it’s important to then put the right people in the right spots. Third, you must also create a level of clarity around missions, visions and values and ensure that the leadership team knows how to communicate them. Fourth, you should focus on taking a team from good to great by creating a high level of trust. When you achieve that, you can make faster decisions and challenge one another to do better. When there’s trust between a team, employees no longer think there are alternative motives. Fifth, it’s important to train and develop people to be great coaches. Part of this includes having those difficult conversations when necessary, both personally and in business. In the end, teams must come together to drive a high-performance organization that scales. We live in a global society where we’re more interconnected than ever before thanks to technology. I would simply like people to know that no matter where we come from, we’re more alike than we could even image. Where you were brought up may be different, but everyone wants to feel included, welcomed, and loved. If we can remember to always put ourselves in the shoes of others, I think it would help us realize innovation at a global scale. Fotis: Can you please give us your favorite “Life Lesson Quote”? Can you share how that was relevant to you in your life? I don’t know if I can pick just one quote! There are so many I look to as a leader. I can share one thing I always keep in mind: Never underestimate the importance of hard work and willingness to grind it out. I was never the best athlete, but with lots of hard work and dedication, I was able to excel beyond what I ever imagined. Just like in sports, I didn’t start out being the leader I am today. I had to learn, grow, and create a mindset, and I do actually enjoy work. You can do incredible things with the right outlook. Fotis: Thank you for your fantastic insights!